Sliding scale available. No one is ever turned away for lack of funds. RigDzin Dharma is truly delighted to once again welcome Khenpo Nyima Gyaltsen Rinpoche to Albuquerque for a wonderful weekend of teachings. values with his royal responsibilities. This text is helpful to anyone wishing to pursue spiritual activities while continuing to live and work in society. Its instructions convey the meaning of the Dharma in a language and style easy to understand. Considered a classic and a corner stone of Buddhist literature, this short text (only 123 verses), covers the whole Mahayana path with unusual clarity and memorable imagery. Drikung lineage founder Lord Jigten Sumgon (1143-1217) is considered a reincarnation of Nagarjuna. Khenpo Nyima Gyaltsen Rinpoche is one of the senior Khenpos at Kagyu College, part of Jangchubling Monastery in Dehra Dun, India, the main seat of the Drikung Kagyu lineage in exile. 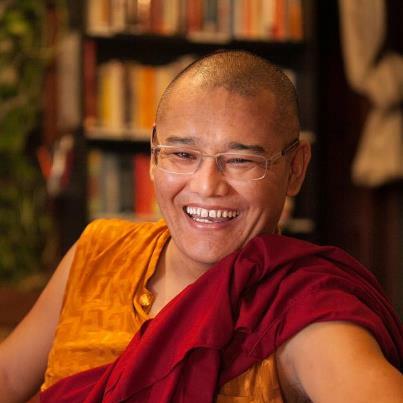 Khenpo teaches in a manner especially suited to Westerners. He is very approachable and truly enjoys Dharma discussion with his students. Please join us for this wonderful weekend of teachings! __Anyone who would like to offer service or meals during Khenpo's vist, please contact us!